There are few surer signs that spring has arrived than the lovely pink blossoms that mark Cherry Blossom Festivals around the world. In Japan, families celebrate the arrival of spring with hanami, which means “viewing flowers” parties that celebrate the blooming of the country’s numerous sakura, “cherry blossom trees”. For families, this means bringing picnics and bento boxes, an assortment of small tasty bites, usually with a nod towards what’s fresh and in season, to eat under the flower-laden branches. 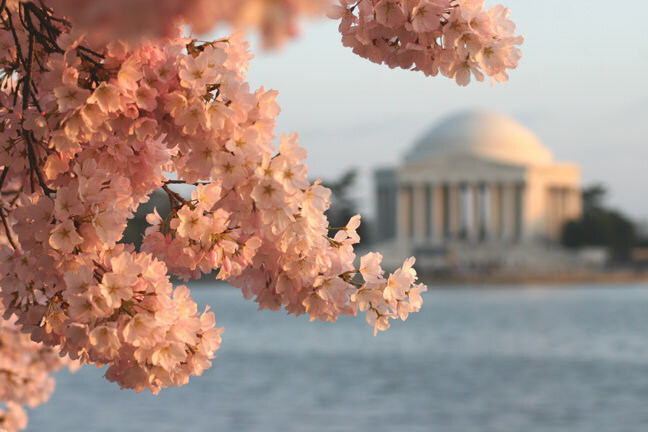 If you’re lucky enough to be in Washington DC in spring, the National Cherry Blossom Festival runs from the end of March through mid-April and you can witness of the cloud of pink that surrounds the Tidal Basin from the 3,000 trees that were a gift from Japan in 1912. Or, you can take a look at Japan’s official Cherry Blossom site, which offers a fascinating glimpse of the country’s cherry trees as they bloom.